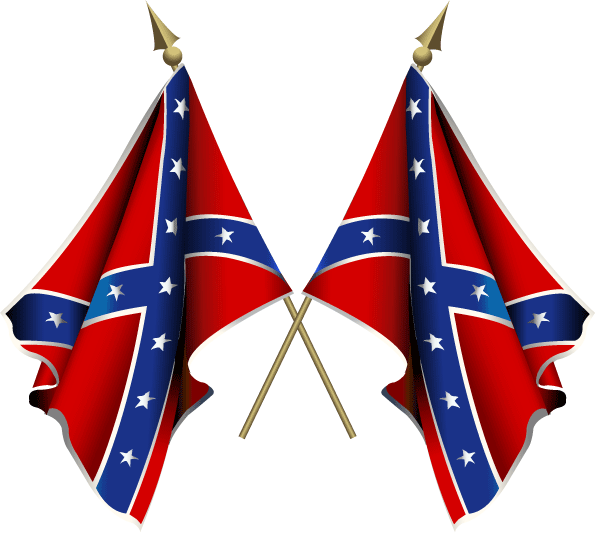 Since I posted on my blog last week, numerous developments have occurred in regard to the desecration of the Confederate battle flag. Not only have several big box stores vowed to discontinue sales, but Apple has taken down some of their games as well. 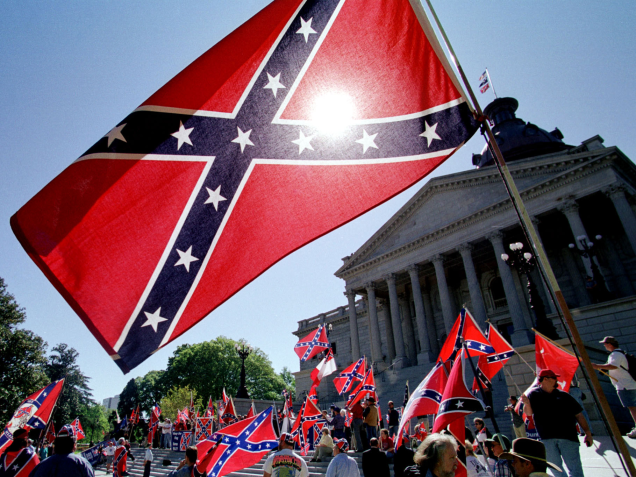 Since then, sales of the Confederate battle flag have doubled. TV Land has stopped showing The Dukes of Hazzard, and rumor has it that Facebook will not allow postings of the Confederate battle flag (we’ll see if this gets posted). NASCAR C.E.O. Brian France said that the flag is an “offensive and divisive symbol.” However, he somewhat changed his stance. Instead of banning the flag from races, he has offered a flag exchange, and is asking that spectators fly the Stars and Stripes instead of the Confederate battle flag this weekend in honor of Independence Day. Ft. Sumpter has furled its Confederate battle flags, and all Confederate flags are being removed from the entrance to Stone Mountain. Some nut is even circulating a petition to have Stone Mountain blown up. Baltimore’s mayor and city council have taken up a proposal to remove three Confederate monuments in the city. And Memphis Mayor A.C. Wharton wants something even worse. He has announced a proposal to have the bodies of General Nathan Bedford Forrest and his wife exhumed from Forrest Park (recently renamed Health Sciences Park by Wharton and the city council), and moved to Elmwood Cemetery. He would also like for the statue of General Forrest to be removed from the park. 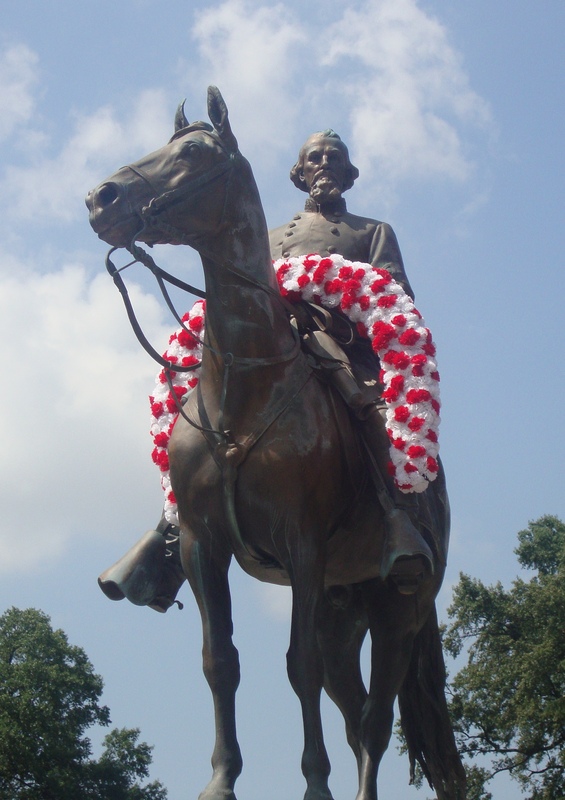 There is no word as to where the city would move it, or if they plan on moving the body of General Forrest’s grandson, who is also buried at the park. Absurdity reigns. The Ku Klux Klan has stated that they will march in South Carolina later this month to protest the removal of the Confederate battle flag. In my opinion, this is derogatory to the cause. 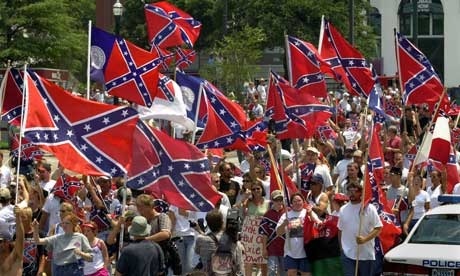 Because of them and their racist views, the Confederate battle flag has been associated with them. However, most of us know this is not the case. It’s bad representation like this that gives fuel to the fire of anti-Confederate nonsense. In a recent poll taken by USA TODAY/Suffolk University, the country is split on whether or not to do away with the flag. According to the poll, 42% believe it represents Southern history and heritage, while 42% believe the flag is racist and should be removed. More than half of whites who were polled believe the assault in South Carolina was an isolated incident committed by one lone gunman, and one-third say “it reflects a larger problem of racism in America.” However, among African Americans, three out of four say the battle flag reflects racism. Really? I find the wording to be offensive and misleading. We don’t know what their feud is about, or if there even is a feud. 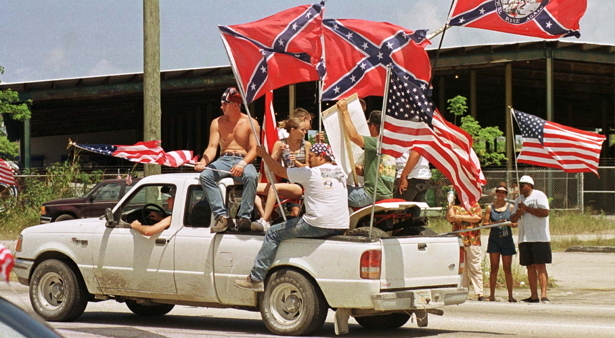 Is that really why they are flying the flag, or are they just proud to be from the South? Who knows, but in this case, it’s bad reporting. 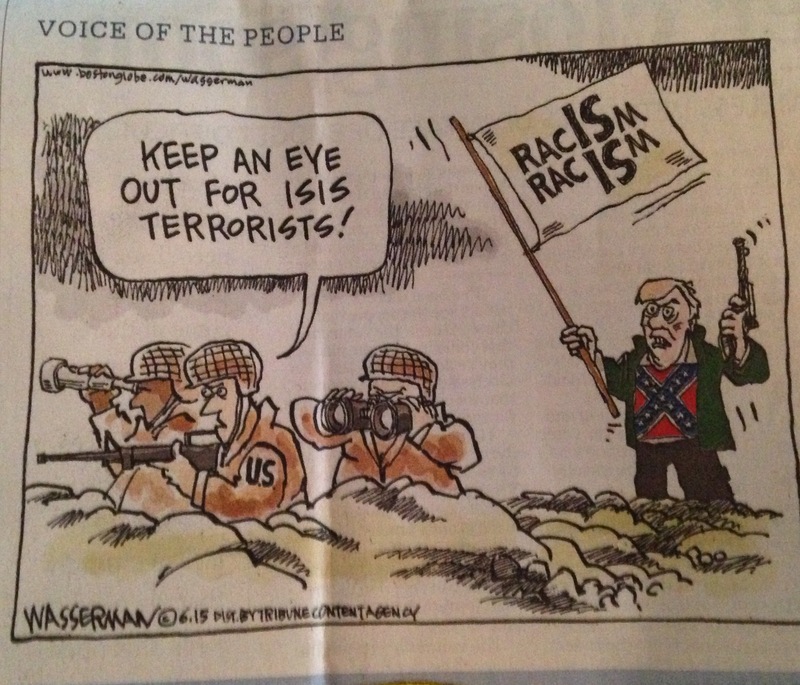 The cartoon below, which recently appeared in the Sioux Falls Argus Leader, is also very offensive. Associating the Confederate battle flag with ISIS is horrendous, to say the least. So what happens now? Will the flag continue to vanish, whether we like it or not? Why don’t we get a say in the matter? Why haven’t these issues been put to a vote? And what will this lead to? Will all books with the flag on the cover, historical or otherwise, be banned? Will all movies be banned as well? Gone with the Wind is already under scrutiny, and you can forget about ever seeing The Birth of a Nation on TNT again. In honor of the Confederate battle flag and those who fought under it, I am running a contest throughout the month of July. Please send an email to jdrhawkins@gmail.com stating what the flag means to you, and you will be entered to win both of the first two books in the Renegade Series – A Beautiful Glittering Lie and A Beckoning Hellfire. It’s my intention to show the Confederate flag in a positive light and educate people about the Southern cause, so please help spread the word.